David J Dunton, 35, 79 EMS D18A1 Lane, Syracuse, arrested for battery and driving while suspended. Bond: $600 cash. Matthew Alyn Armey, 27, 925 N. 175E, Warsaw, arrested for operating a vehicle while intoxicated. Bond: $550 cash. Dustin Lawrence Swindle, 26, 211 S. Main St., Milford, arrested for domestic battery. Bond: $1,000 cash. Roger H. Rapsavage, 57, 1716 Chapman Lake Drive, Warsaw, arrested for operating a vehicle while intoxicated. Bond: $555 cash. Gregory Curtis Deboard, 49, 9783 E. Chickadee Drive, Cromwell, arrested as a fugitive from justice. Bond: $50,000 surety. Ashton Phillip Krider, 21, 10496 School Ave., Silver Lake, arrested for dealing meth with an enhancement and 1-5 grams. Bond: $10,000 surety. 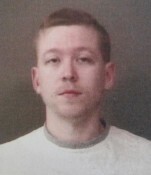 Frankie Ray Ornatowski, 27, 7227 Foxmore Court, Goshen, arrested on a body attachment warrant. No bond.